In late December 2018, students also took a field trip to the Cool Stuff museum at iRobot headquarters. The room features a series of robotic devices from iRobot’s past and present. Products on display ranged from popular home cleaning robots like Roomba, to those utilized by military and public safety professionals, including robots for locating and removing explosive devices. Robots used to repair oil rigs and prototypes of soft robots and robots that could climb walls vertically are also on display. iRobot is committed to building a future for Science, Technology, Engineering and Math (STEM) education. 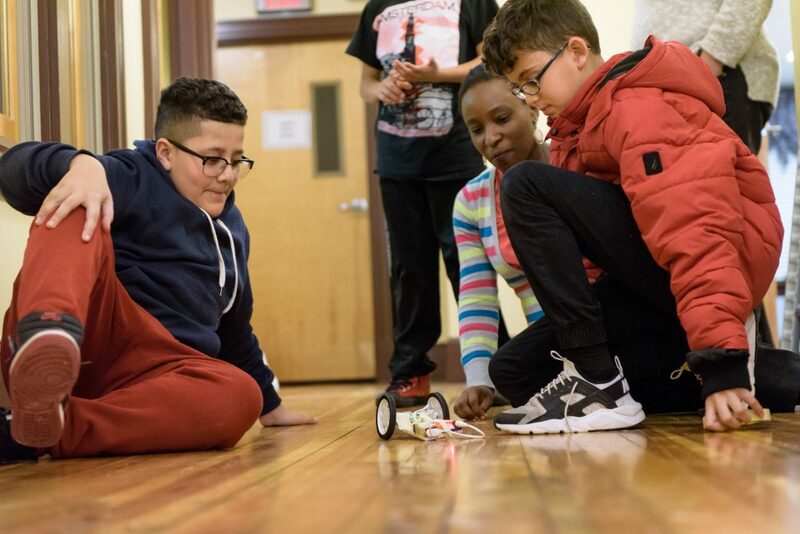 The company offers a multi-faceted outreach program as a resource for students, parents and educators to share in the excitement for the robotics industry.